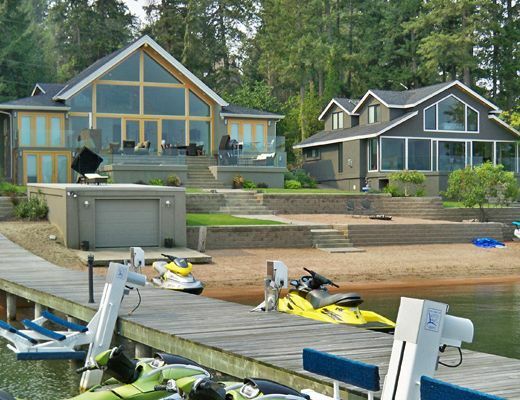 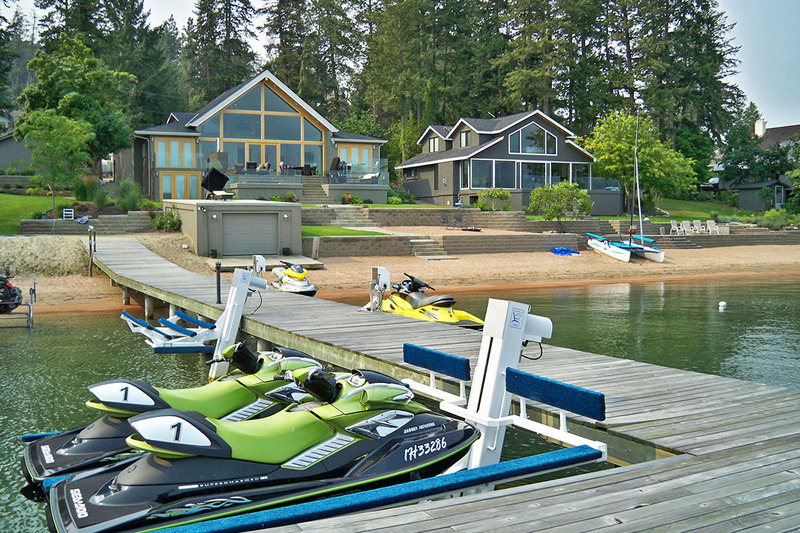 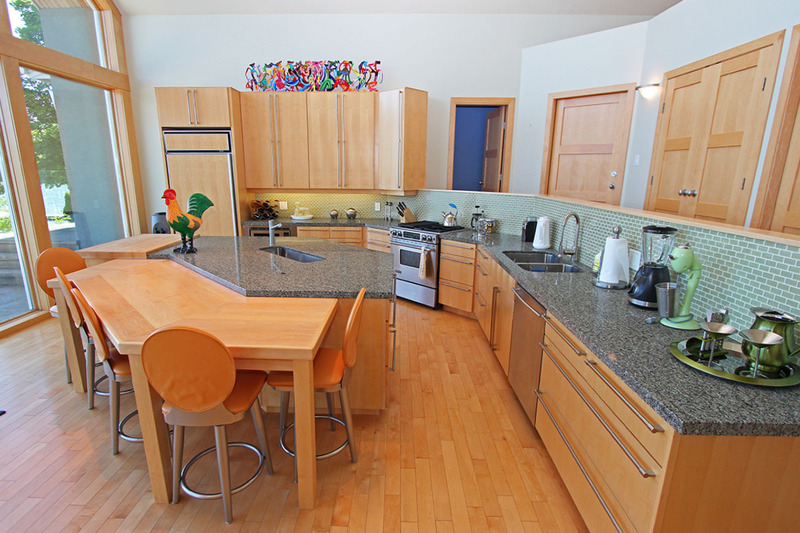 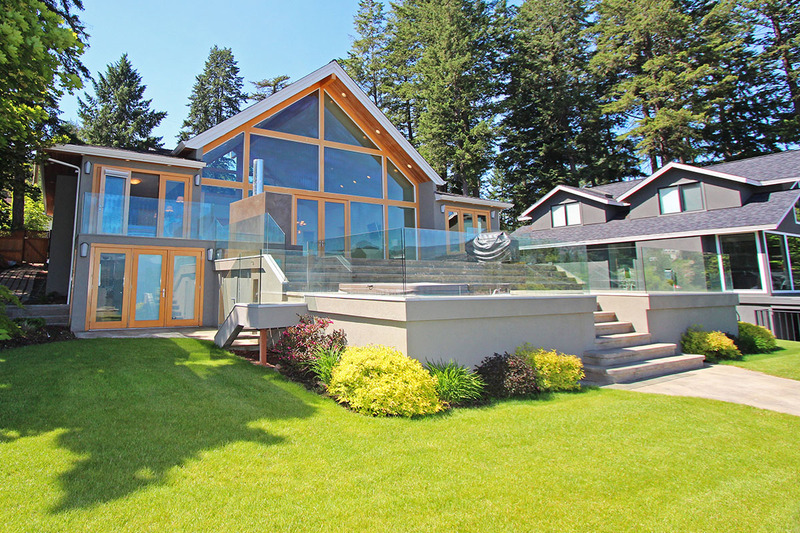 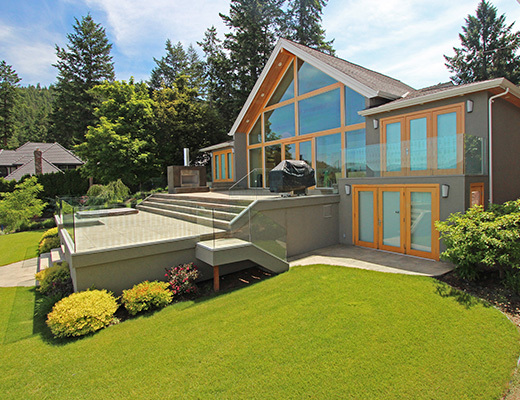 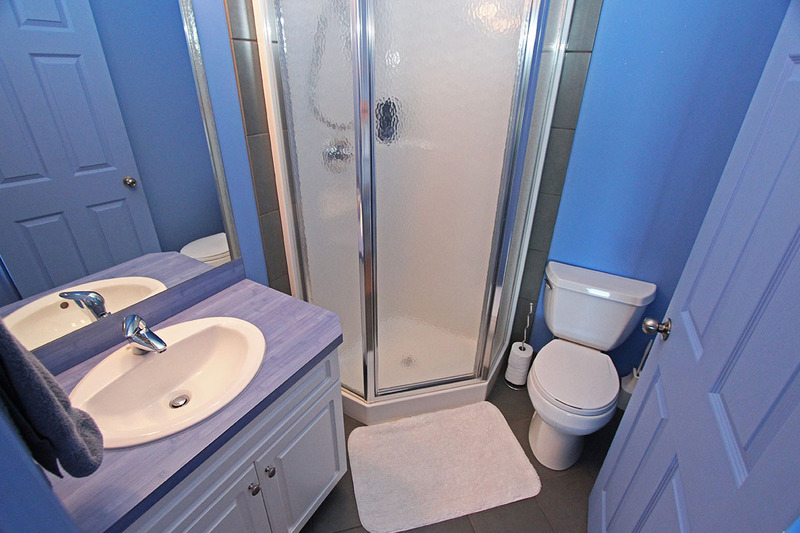 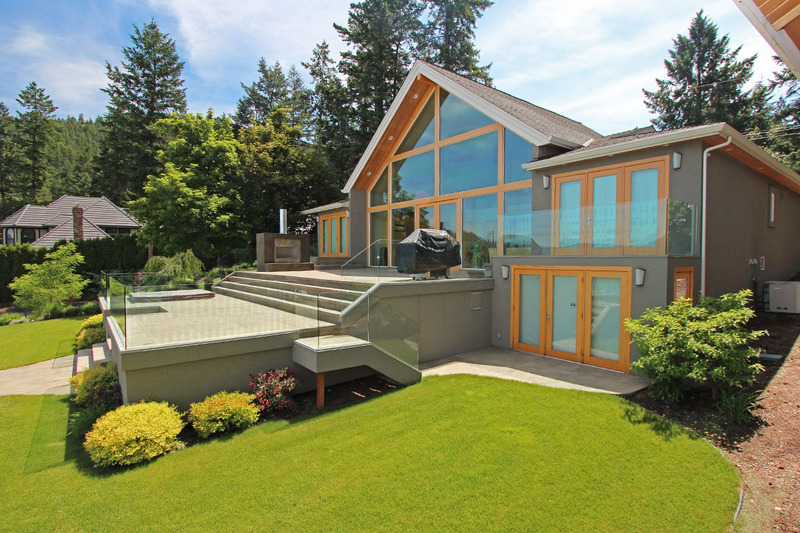 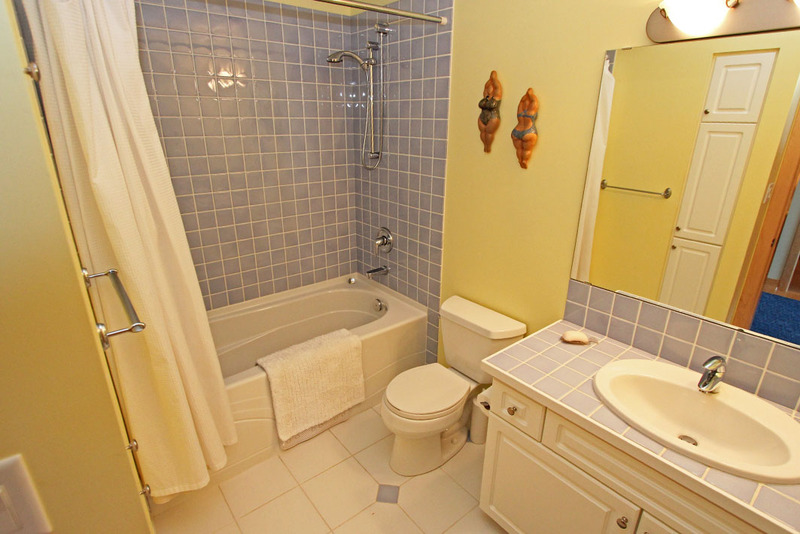 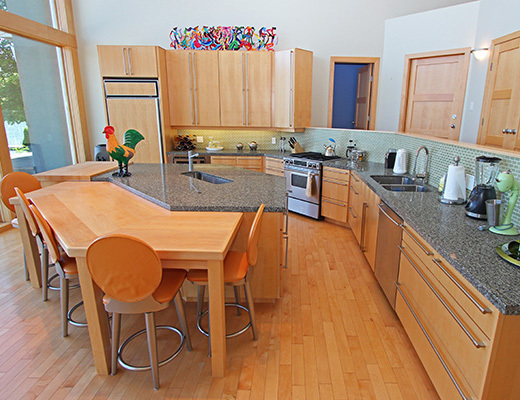 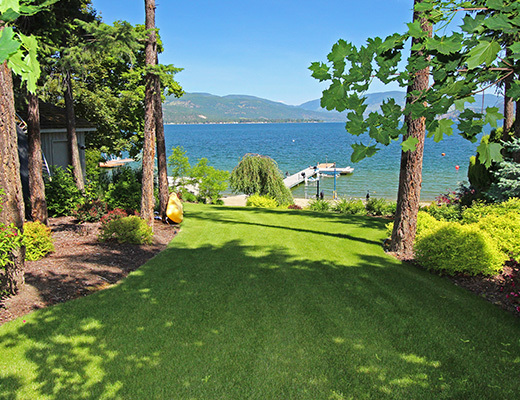 Enjoy the modern amenities of this executive lake front home located on Delcliffe Bay. 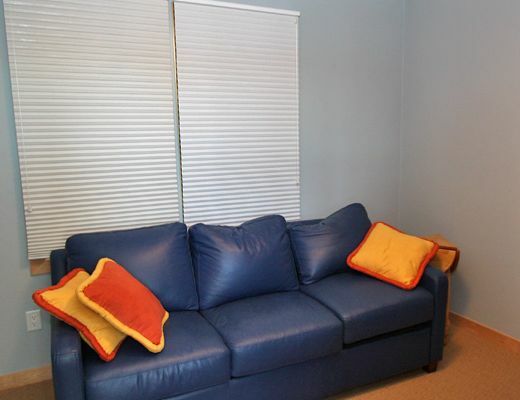 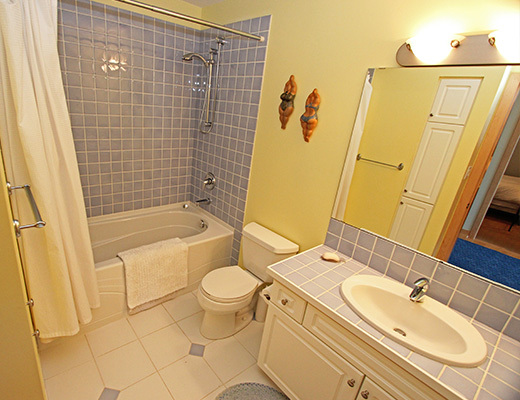 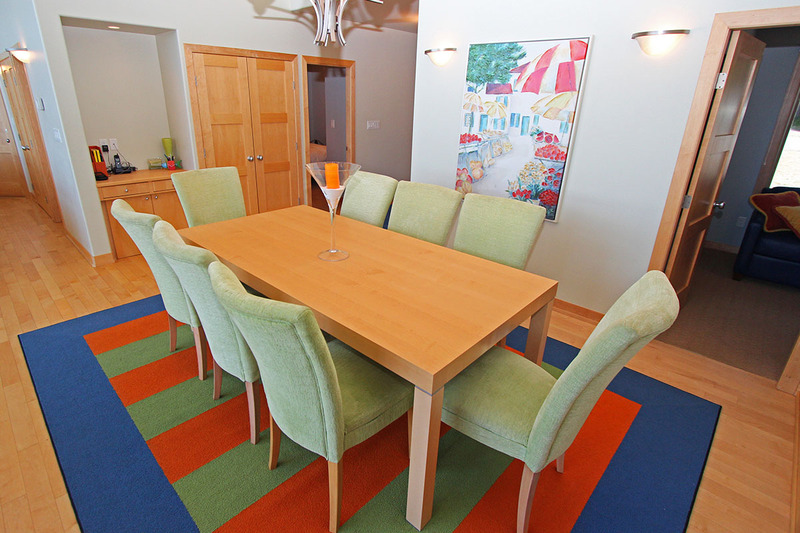 This property features a shallow sandy beach, making it an excellent choice for families. 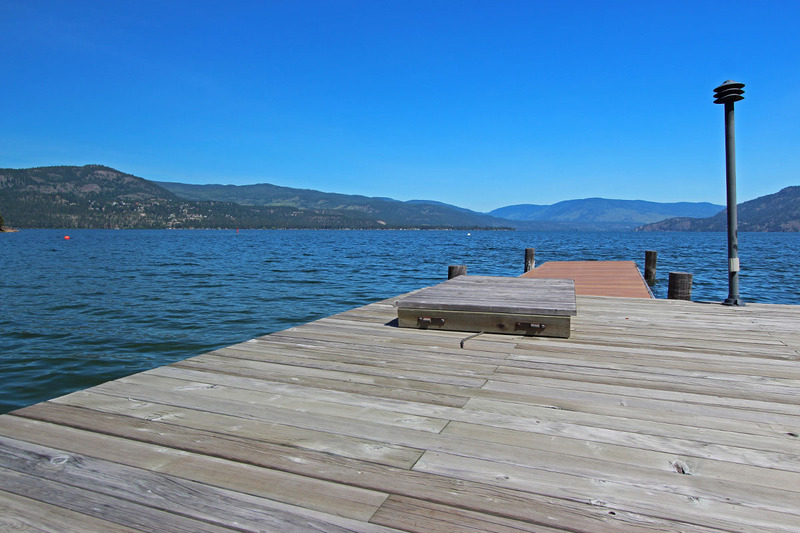 The large boat dock is available for guest use, so plan to bring your boat, or ask us about renting one for your stay. 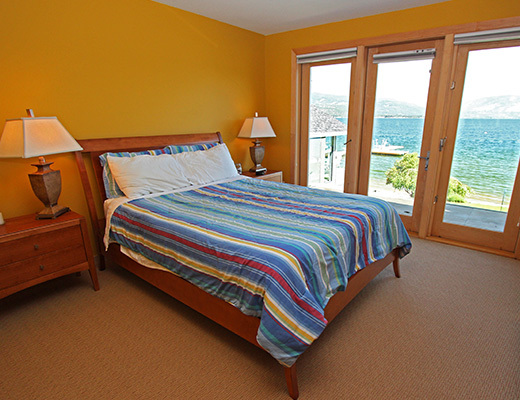 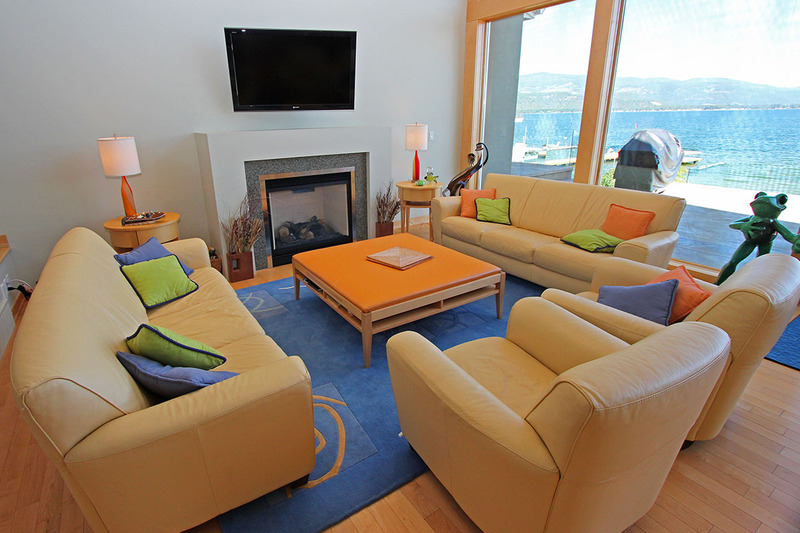 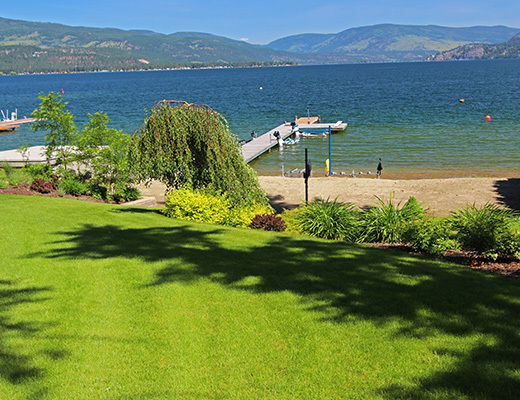 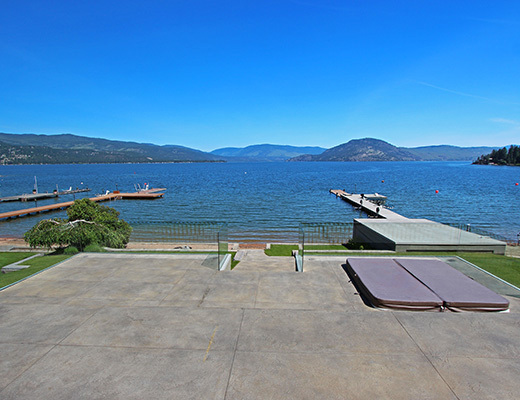 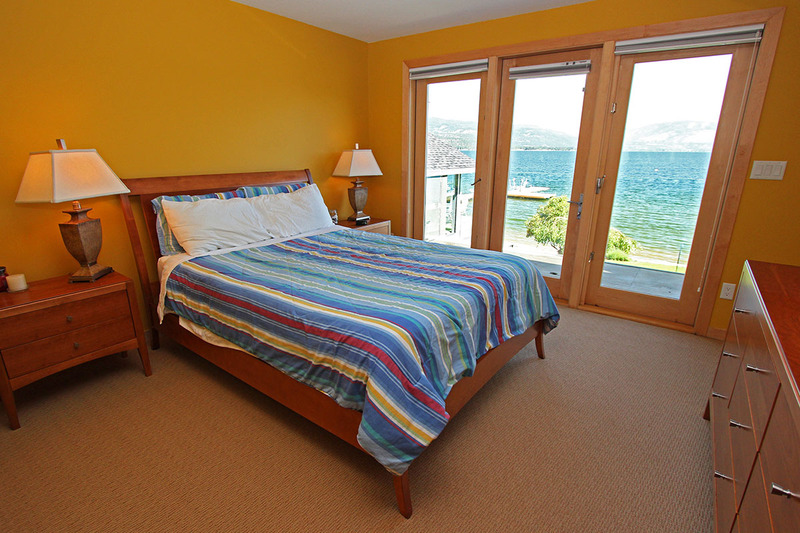 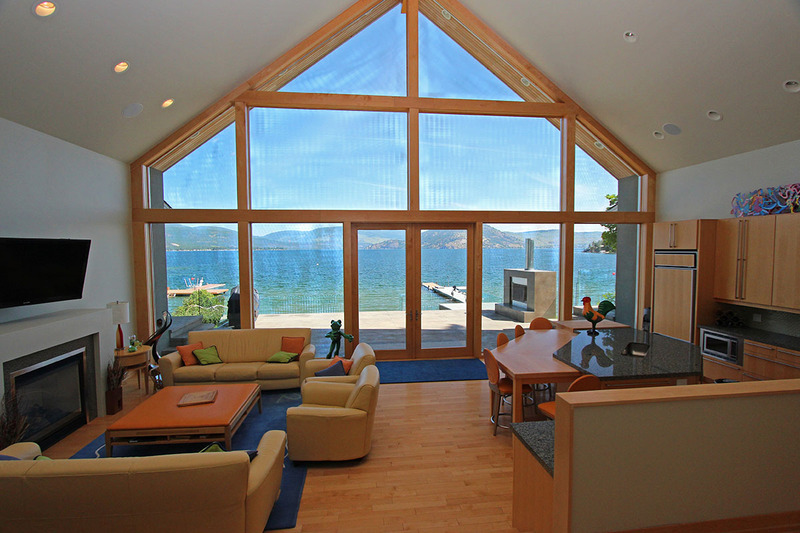 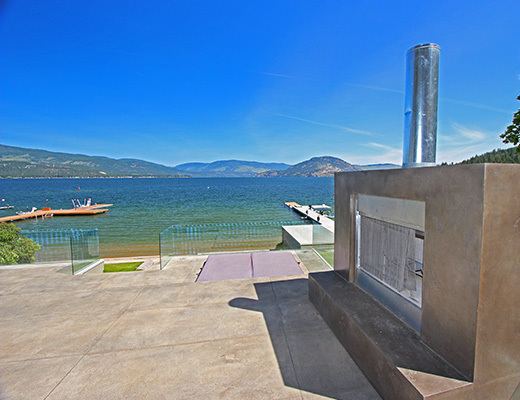 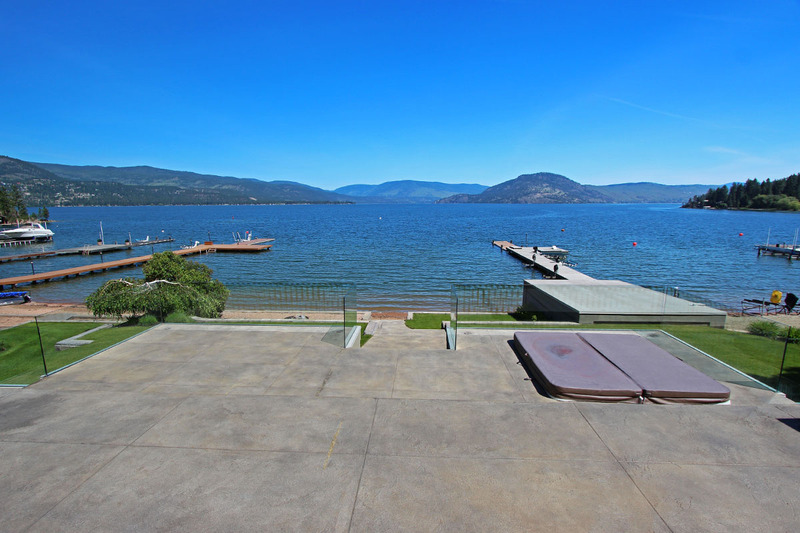 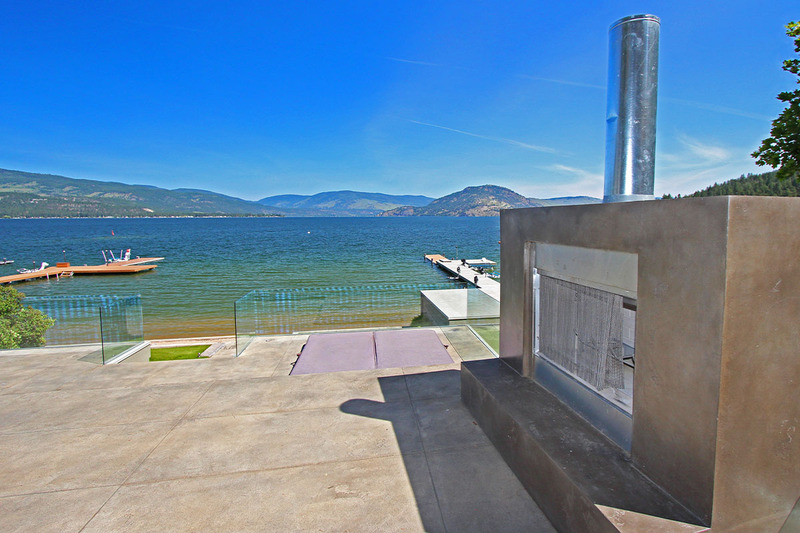 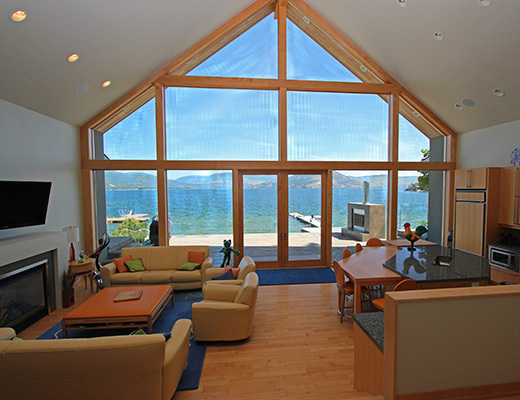 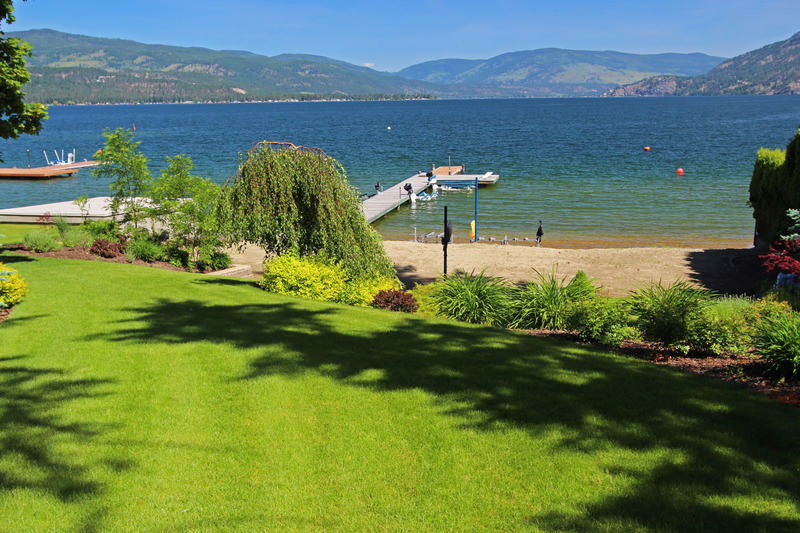 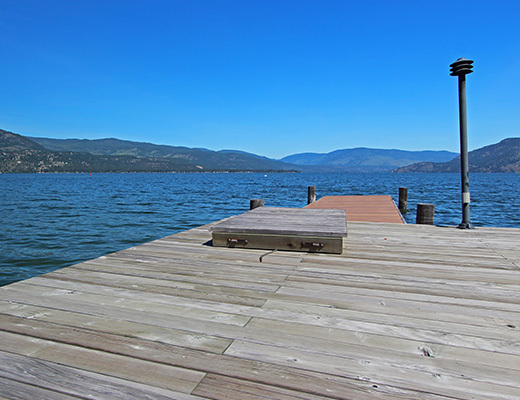 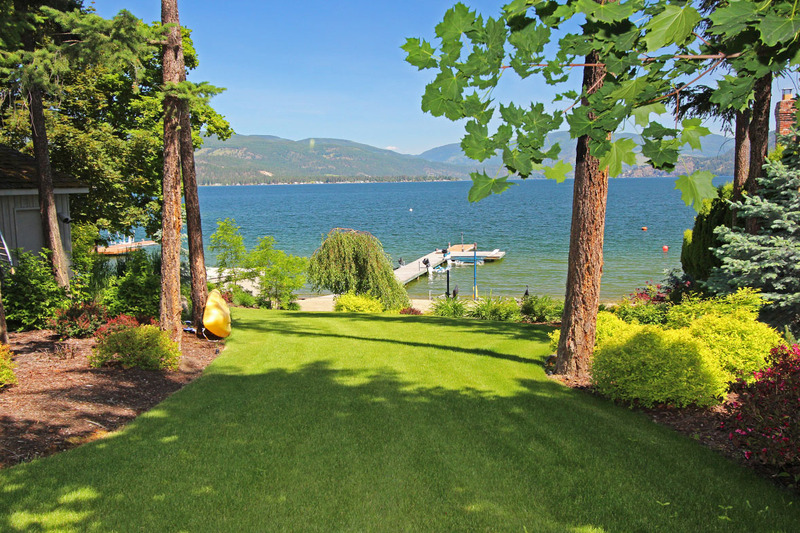 Offering beautiful views of Okanagan Lake from the spacious front patio and walk-out access to the beach, this really is the perfect waterfront vacation home. 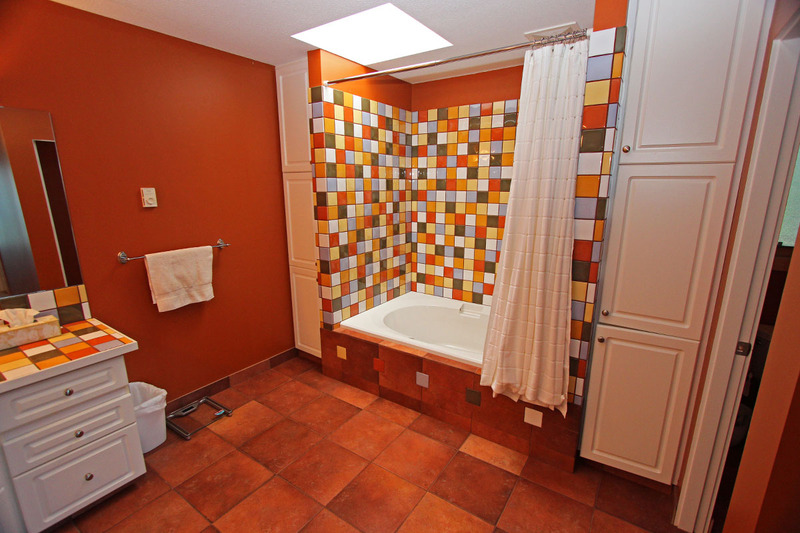 Inside the home has been finished with top of the line appliances and fixtures, granite counter tops and hardwood floors. 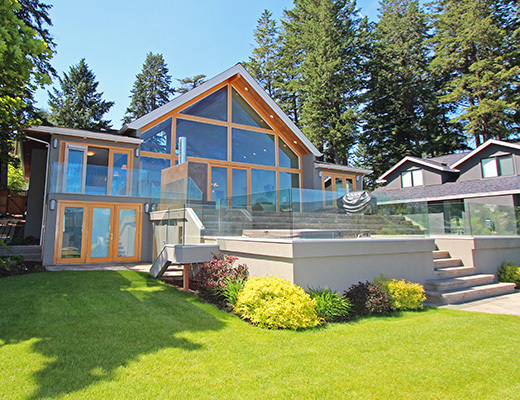 Floor to ceiling windows let plenty of natural light into the open concept living, kitchen and dining room and provide a breathtaking view from the entire main level. 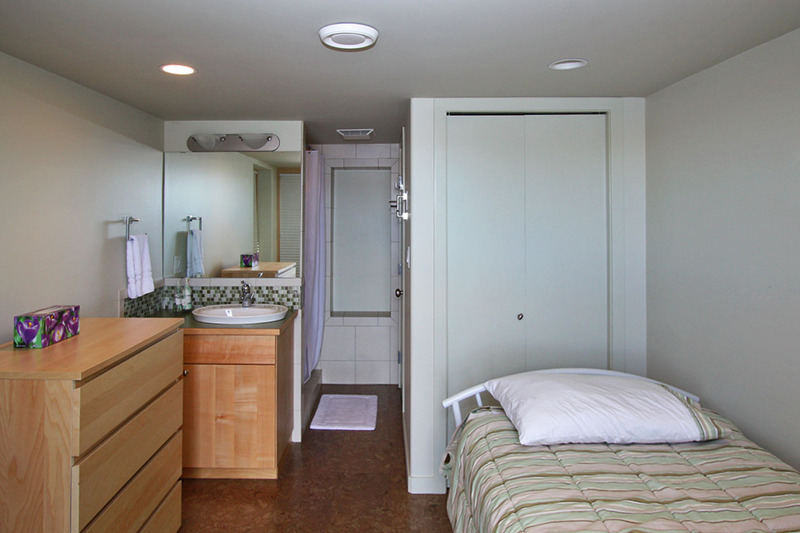 The spacious master bedroom offers guests walk-out access to the patio and an ensuite bathroom finished with custom tile work. 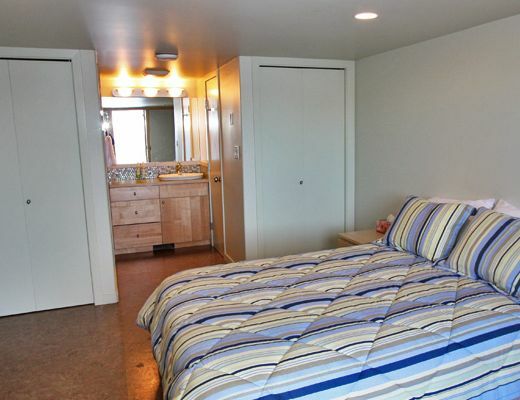 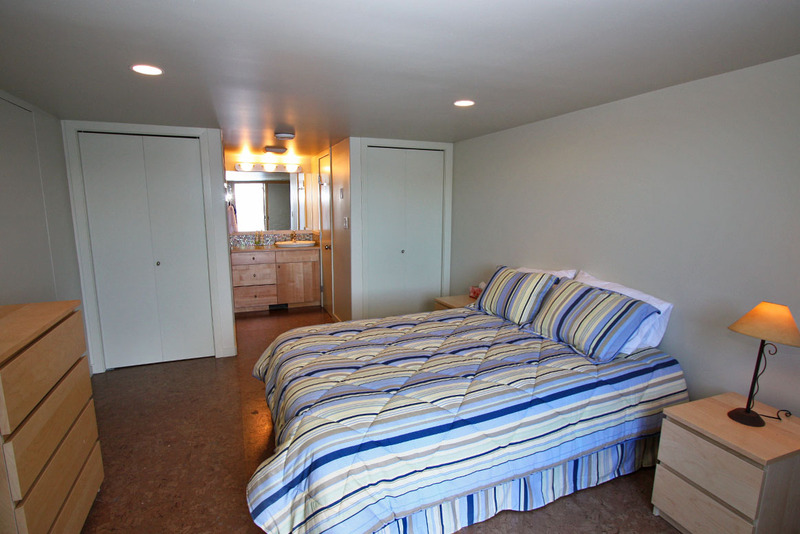 This bedroom features 2 queen beds. 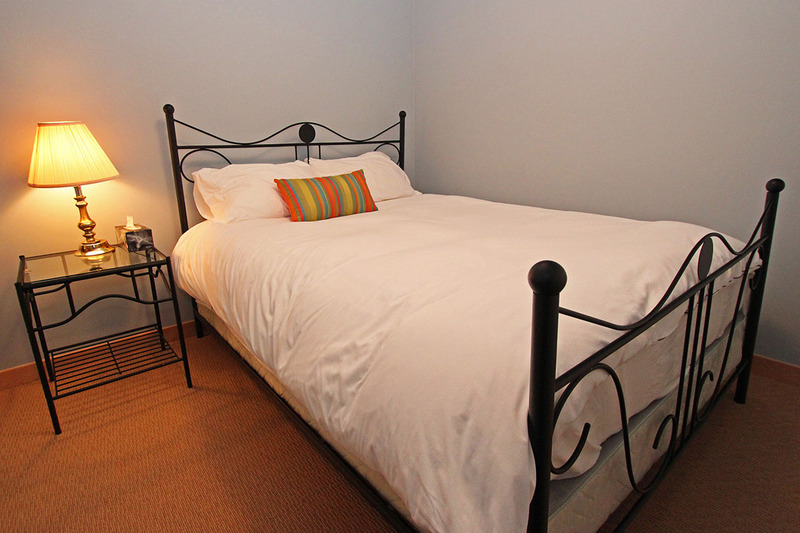 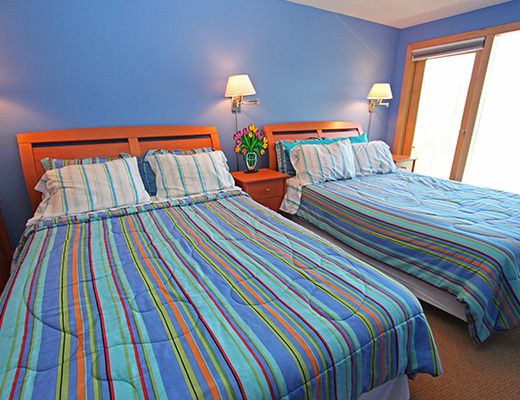 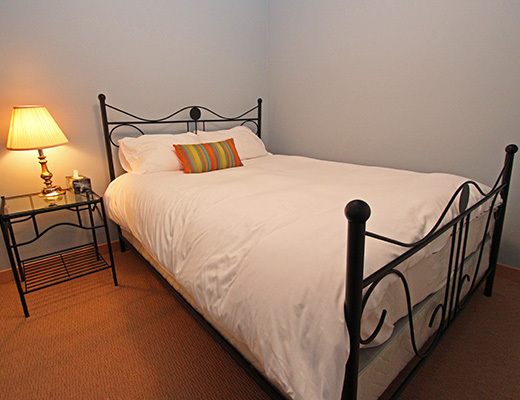 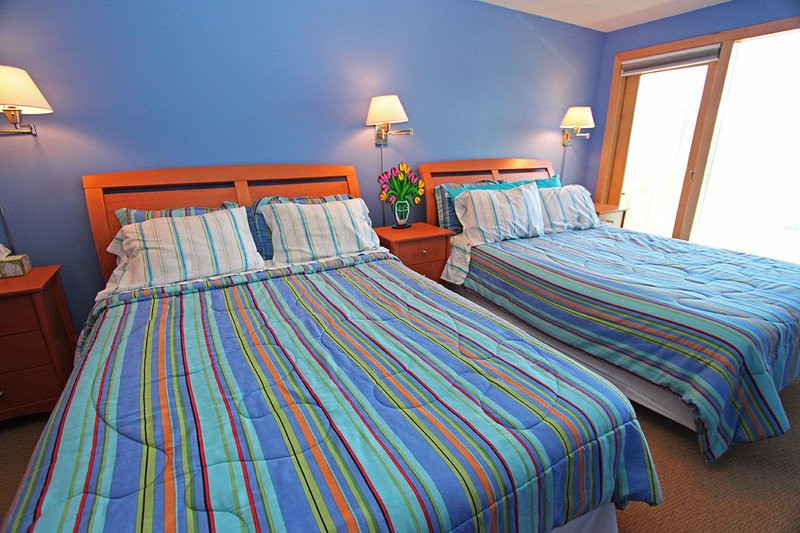 Each of the remaining bedrooms can sleep up to 2 guests with queen beds in all but one, which includes a twin bed and a sofabed. 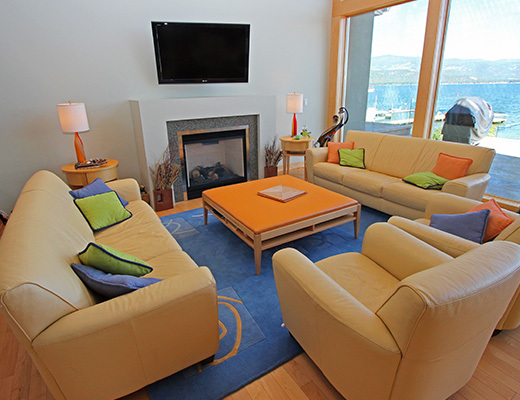 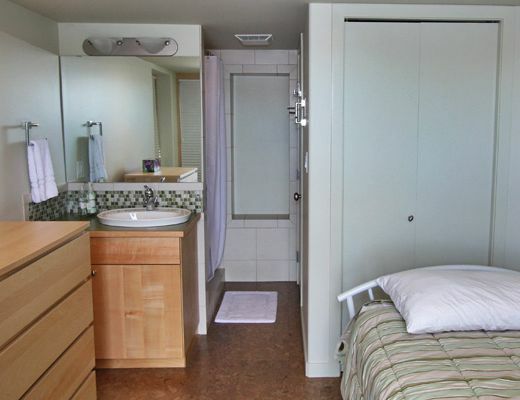 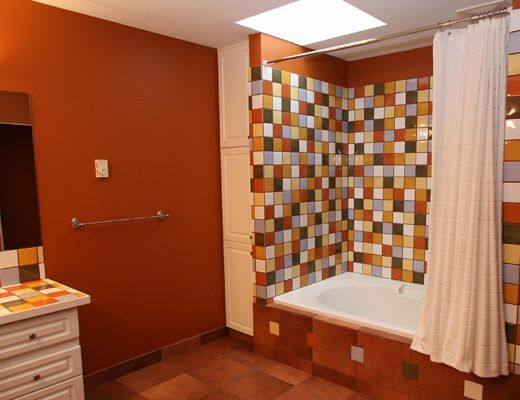 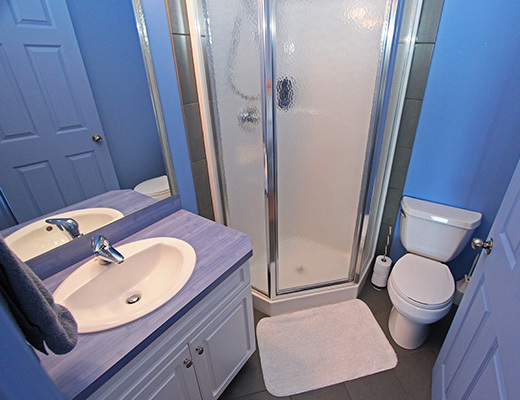 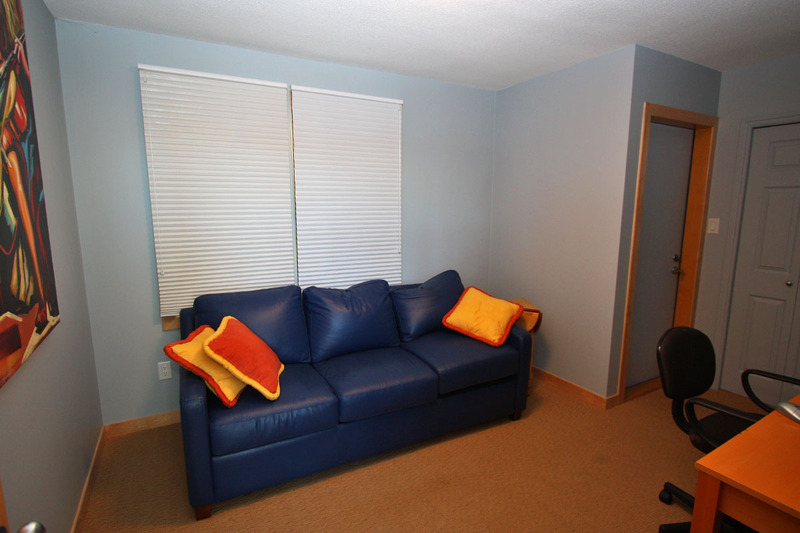 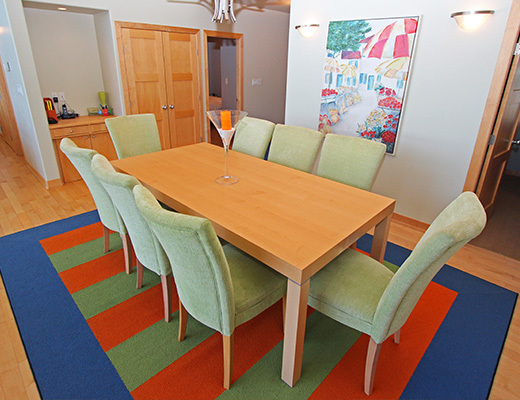 The unique setup of this home makes it an ideal rental for couples or families.